Home service massage Quezon city, Ortigas, San Juan and other nearby cities. 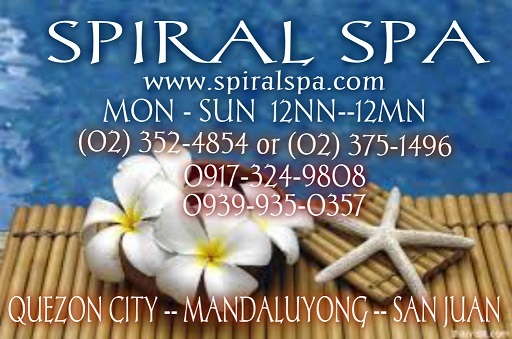 Massage with Hot Stone is something of a specialty with Spiral Spa and is available at P450 for 75 minutes. Our therapists are very experienced with hot stone therapy and are trained to give you the best massage with all the added benefits of hot stone. Before the massage the therapist will heat the smooth black basalt stones.The stones are then placed in various positions on the body.While giving you Swedish massage the hot stones are also used by the therapist as an extension of the hands allowing for long massage strokes. The heat from the stones is very relaxing and allows for deeper massage, melting away tension and relieving pain, easing tight muscles and stiffness.It also helps increase circulation.Hot stone massage is gaining popularity as more people experience it.It's something everybody who is interested in massage should give a try at least once to see the benefits. 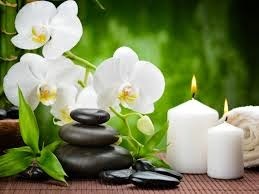 Further information is on the stone massage wiki page. Home service massage Quezon City, Ortigas, San Juan, Eastwood and other nearby cities.